Tranquilization, sedation, anti-anxiety and anti-emetic. Acepromazine Maleate is commercially available as a 10mg/ml injection solution, 50ml vial; and tablets,10mg and 25mg. Acepromazine maleate is a phenothiazine derivative that is used as a neuroleptic agent in veterinary medicine. It is a commonly used tranquilizer for dogs, cats, and horses. Phenothiazines decrease dopamine levels and depress some portions of the reticular activating system. Acepromazine is metabolized by the liver and excreted in the urine. In addition to tranquilization, acepromazine has multiple other important systemic effects including anti-cholinergic, anti-emetic, antispasmodic, antihistaminic, and alpha-adrenergic blocking properties. Acepromazine causes hypotension due to decreased vasomotor tone. It may change heart and respiratory rate and thermoregulatory ability allowing for either hypo- or hyper-thermia. Acepromazine may be given intramuscularly, intravenously, or orally. It provides no analgesia and the tranquilizing effect of the drug can be overcome unexpectedly, particularly by sensory stimulation. Acepromazine usually is less effective if given after the animal is excited. There is a great deal of individual variability in the response to acepromazine and despite being a very commonly used medication there are important species and even breed differences in response to acepromazine that need to be taken into consideration (see precautions). Acepromazine is one of the most commonly used tranquilizers for dogs and cats. It decreases anxiety, causes central nervous system depression, and a drop in blood pressure and heart rate. It may be used in conjunction with atropine as a pre-operative medication for anxiety and for its antidysrhythmic effects. Oral acepromazine may be prescribed to prevent motion sickness, to temporarily reduce itching and scratching due to allergies, or prior to office visits, nail trimming, or grooming appointments if the animal is too fractious to handle safely without sedation. Some veterinarians are reluctant to prescribe acepromazine for travel anxiety when the animal may be exposed to temperature extremes, such as during plane travel or when there may be limited access to veterinary care. Other drugs used for travel anxiety/motion sickness include meclizine, diphenhydramine, and diazepam. Occasionally, animals (particularly cats) may have a paradoxical response to acepromazine and become excited or aggressive. Acepromazine is one of the most commonly used tranquilizers for horses. It may be used alone or in combination with other sedative drugs such as xylazine, detomidine, or butorphanol. Because acepromazine lowers blood pressure by dilating small blood-vessels, it sometimes is prescribed in the early treatment of laminitis in order to diminish vasospasm, and possibly to improve circulation within the hoof. Acepromazine is also used in horses that are prone to exertional rhabdomyolysis both as a preventive and as a part of the treatment due to its vasodilatory properties. When acepromazine is used to treat more severe cases of exertional rhabdomyolysis, intravenous fluids may be desirable to increase hydration and to support renal function. Onset of action of acepromazine varies with route of administration; oral acepromazine may take 30 minutes to one hour. The effects of acepromazine will last from one to four hours, but this varies significantly with dose and among individual horses. Acepromazine is a prohibited substance in most sanctioned competition. Oral administration or long-term, repeated dosing may increase detection time. Common: Acepromazine will cause hypotension, decreased respiratory rate, and bradycardia. Dogs are particularly sensitive to cardiovascular side-effects but cardiovascular collapse also has occurred in cats. Sudden collapse, decreased or absent pulse and breathing, pale gums, and unconsciousness may occur in some animals. Rare: fatal interactions with anesthetics have been reported. Acepromazine will cause a dose-dependent decrease in hematocrit in both dogs and horses. This effect occurs within 30 minutes of administration and may last for 12 hours or more. 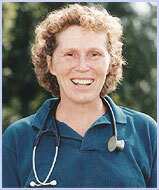 The hematocrit in horses may decrease by as much as 50%. Penile paralysis is a rare but recognized adverse side-effect of acepromazine use in the horse. This drug should be avoided in breeding stallions. Acepromazine lowers blood pressure. It should not be used in animals that are dehydrated, anemic, or in shock. Acepromazine should be avoided or used with extreme caution in older animals or those with liver disease, heart disease, injury, or debilitation. If it is used in these animals, it should be given in very small doses. In some older animals, a very small dose can have a marked and very prolonged effect. Acepromazine should not be used in animals with a history of epilepsy, those prone to seizures, or those receiving a myelogram because it may lower the seizure threshold. Acepromazine should not be used in animals with tetanus or strychnine poisoning. Acepromazine should be avoided in pregnancy or lactation. It should be avoided or used with extreme caution in young animals due to its effects on an animal's ability to thermo regulate. Dogs: Giant breeds and greyhounds may be extremely sensitive to acepromazine, while terriers may require higher doses. Brachycephalic breeds, especially Boxers, are particularly prone to cardiovascular side-effects (drop in blood pressure and slow heart-rate). Acepromazine should be avoided or used with great caution in these breeds. Horses: Draft-horse breeds are especially sensitive to most sedatives including acepromazine. Pony breeds do not appear to differ from horses in their responses to acepromazine. Animals receiving acepromazine will require lower doses of barbiturates, narcotics and other anesthetics. These combinations increase central nervous system depression. Antidiarrheal mixtures like Kaopectate® and Pepto-Bismol® ,or antacids decrease the absorption of oral acepromazine. Acepromazine should not be used within one month of deworming with organophosphate compounds. Quinidine, epinephrine, propanolol, procaine hydrochloride, and phenytoin all have been shown to have significant drug-interactions with phenothiazines. Further information should be sought before concomitant administration. Overdose will cause excessive sedation, slow respiratory and heart rate, pale gums, unsteady gait, poor coordination, and inability to stand. It also may cause sudden collapse, unconsciousness, seizures, and death. Oral overdose should be treated by emptying the stomach along with monitoring and other supportive care. Phenylephrine and norepinephrine are the drugs-of-choice to treat acepromazine-induced hypotension. Barbiturates or diazepam may be used to treat seizures associated with overdose.